With high end hardware’s such as HD displays and quad core processors, smartphones today are capable of playing 1080p videos natively without the need of any video conversion. All you need to do is copy the video files and your smartphone can play them directly. On Android devices with storage capacity ranging from 8 to 32 GB, you can definitely have a dozen of HD movies, but eventually you will run out of storage space. While you can invest on an additional expandable media such as SD cards and increase your device’s storage capacity, but in case you already using a expandable storage media, you should try out the USB On The Go feature on your Android device. USB OTG( On The Go) is a feature on Android devices that allows your Android device to act as a host, allowing other USB devices like a USB flash drive, digital camera, mouse, or keyboard to be attached to them. This feature is a boon for many whose android devices do not have the support for expandable storage. For an example, Google’s Nexus series of Android smartphones and tablets have no support for expandable storage. It might seem a bit early, but Google is relying more on cloud storage, which is something that might take a couple of more years to get mainstream. Thanks to the USB OTG feature, you can use external storage devices such as USB flash drives and external hard disks with your Nexus device and easily increase your phone’s storage capacity. Although most android smartphone manufacturers such as Samsung, Motorola, Google and LG provide the USB OTG drivers inbuilt into their smartphones, tablets and other devices, there might be a few manufacturers who don’t. In case your Android Phone doesn’t have the drivers required for the USB OTG feature, you will need to ROOT your android device and install the USB OTG helper app on your Android device and enable the USB OTG feature. 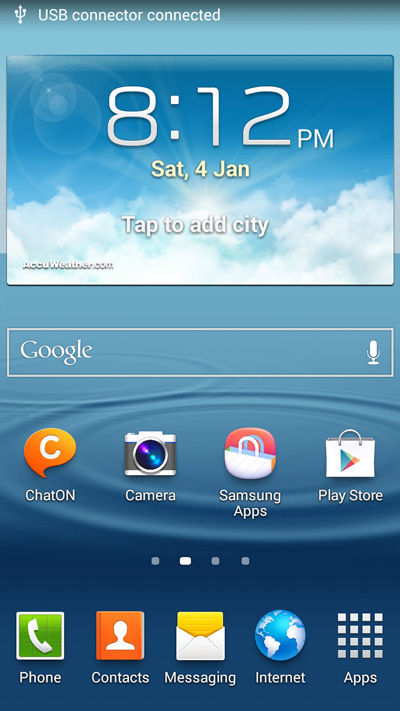 I have been using the Samsung Galaxy S3 which supports the USB OTG feature by default Without the need of Rooting. Here is how you can use external storage devices such as USB flash drives and external hard disks with your PC. The instructions below will be the same for all android devices which support the USB OTG feature without the need of Rooting. An external storage device such as a USB flash drive or a External hard disk. And definitely a Android phone. Step 1: Connect any external storage devices such as an USB flash drives or external hard disk with the USB OTG cable. 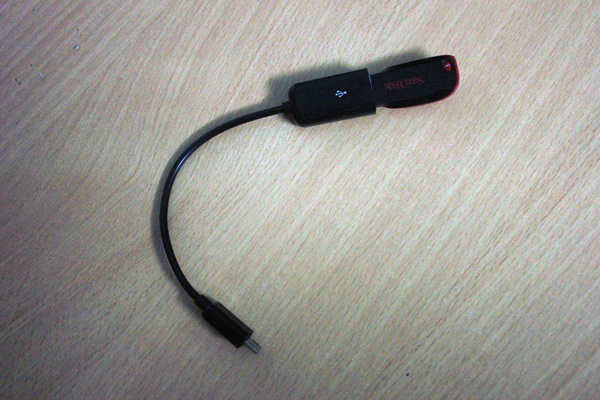 Step 2: Connect the Micro USB end of the USB OTG cable with your android device. Step 3: You will see USB connector connected notification which will be followed by USB mass storage connected notification and then the newly attached external storage media will open up automatically open up in the file explorer. In case your device doesn’t have the USB OTG drivers, you will need to ROOT your android device and follow the instructions below. Step 1: Connect any external storage devices such as USB flash drives or external hard disks with the USB OTG cable. Step 2: Install the Stickmount Android app on your Rooted android device. 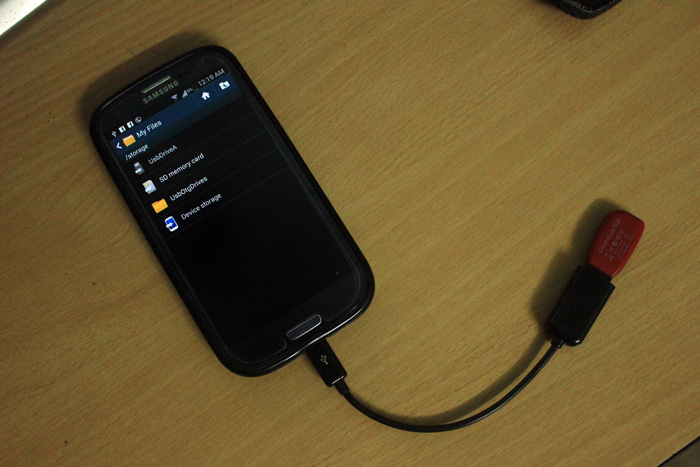 Step 3: Connect the Micro usb end of the USB OTG cable with your android device. Within seconds Stickmount will mount the external storage device and open it up in the file explorer.